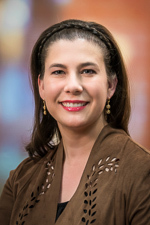 Angelica R. Putnam, MD, is an associate professor in the Division of Pediatric Pathology at Primary Children’s Hospital. She received her medical school and residency training at the University of Utah School of Medicine, and completed fellowship programs in general surgical pathology at the University of Colorado at Denver and Health Sciences Center and pediatric pathology at the University of Utah School of Medicine. She is board certified by the American Board of Pathology in anatomic, clinical, and pediatric pathology. Dr. Putnam focuses on surgical pathology and teaching medical students, residents, and fellows.